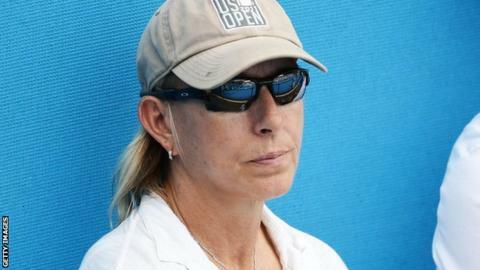 Martina Navratilova has quit as coach to world number nine Agnieszka Radwanska after five months in the job. The 18-time Grand Slam champion, employed on a part-time basis, said she had "under-estimated the time it would take to make this proper and good". Pole Radwanska, 26, added on Twitter that "we both agreed that as Martina could not commit 100% to the project then it was not going to work". Radwanska has fallen from sixth in the world when Navratilova began her role.